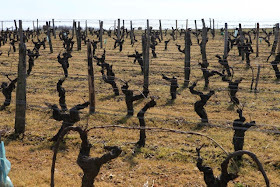 Jim's Loire: Toxic terroir? - poisoned patrimoine? Toxic terroir? - poisoned patrimoine? A new study casts doubt on the widespread belief that the use of Roundup is not harmful to human health. The study looked at 'adjuvants' – often called inerts that help the active component in the pesticide or herbicide to work more effectively. Not only sad but a danger to human health? Not only does the widespread use of herbicides destory biodiversity but if recent studies are correct they pose a threat to health not only to the people working in the vineyards but also consumers of wines from vineyards treated with herbicides. It is often thought that just using herbicides between the vines and grassing over or cultivating the middle of the rows is more acceptable as this is only a limited use of weedkiller. 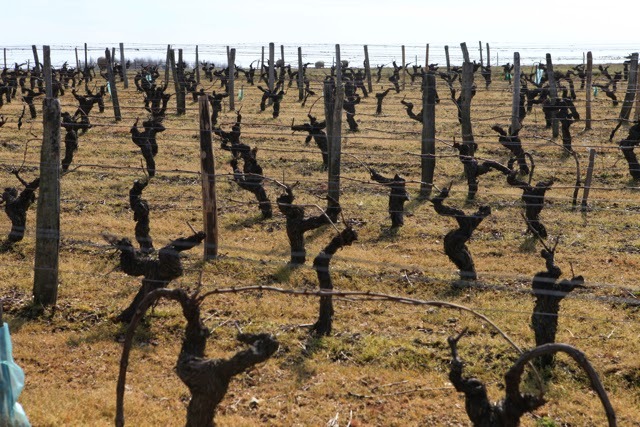 However, if herbicides with their inerts are indeed toxic this may be a grave error as the herbicides may well leach down to the vine roots with the possibility the toxicity will later appear in the grapes and so into the resulting wine. Wine labels in certain countries now carry warnings that the contents may contain sulphites as well as health warnings for pregnant women, should they not now carry warnings that potentially toxic chemicals have been used in the vineyards used to produce this wine?